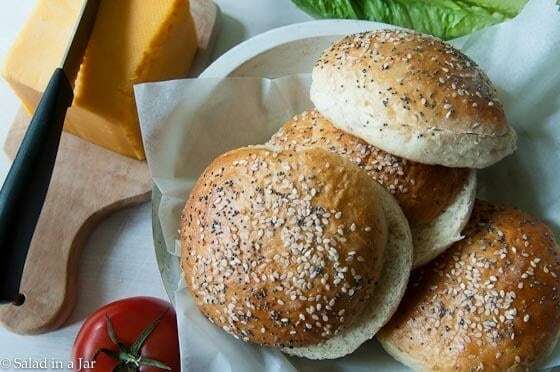 Make your sandwiches memorable with these homemade seven-grain hamburger buns. Recipe developed for the bread machine but can be made in a mixer or by hand. When my sister and her husband from Denver came to town to watch the Rockies play against the Rangers earlier this summer, I prepared a meal to eat at the game including barbecue sandwiches made with homemade buns. Weeks later, my husband is still raving about those buns and requesting a repeat performance. That’s how homemade buns can make a sandwich memorable. As usual, I mix the dough for this recipe in my bread machine. I DON’T BAKE IT IN THERE, just mix and knead the dough. 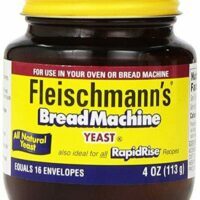 You should do likewise if you have a bread machine and/or delight in eating homemade bread that is perfectly mixed and kneaded with little effort and time on your part. 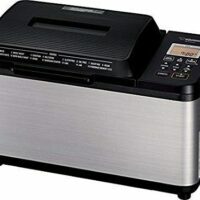 If you are a new bread-machine user or somebody who thought they didn’t like bread machines, please check out my previous posts about using a bread machine. You can also use a stand mixer or make this recipe by hand. 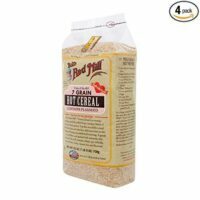 See list of substitutes if you can’t find this 7-grain cereal. Don’t let the 7-grain mix scare you away. 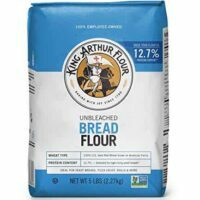 Substitute the same amount of bread flour, whole wheat flour, or wheat bran if you prefer. 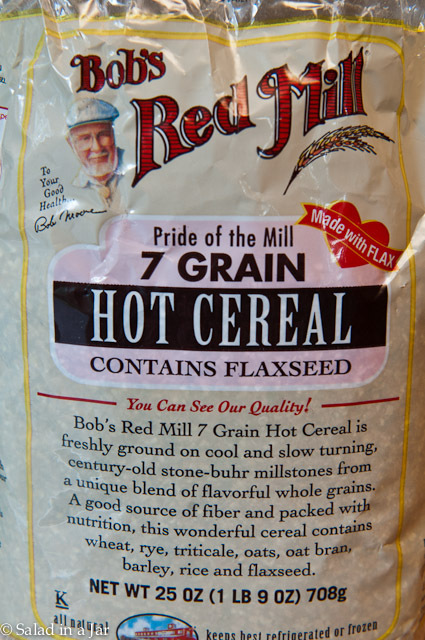 I buy Bob’s Red Mill 7 Grain Hot Cereal, containing wheat, rye, triticale, oats, oat bran, barley, rice, and flaxseed. Makes me feel virtuous just reading the list. It’s not always easy to find. Try Target, Whole Foods, or any grocery store with an organic food section. This recipe is a variation on my Potato-Cheese Rolls which I love because the rolls naturally stay fresh longer because of the potatoes. Whenever I have leftover mashed potatoes, I freeze them in half-cup portions. This comes in handy for hamburger buns because you can make them ahead. I like to use leftover mashed potatoes as opposed to difficult-to-find potato flour or rather bland tasting instant potatoes. The salt, pepper, butter and milk added when making everyday mashed potatoes seems to make these rolls even better. Because I tend toward spur-of-the-moment baking, I freeze any leftover mashed potatoes passing through my kitchen into half-cup portions as seen in the picture above. They only need a quick defrost in the microwave before they go into my bread machine. Make these 7-grain buns for your next cookout or tailgate. Add egg, sugar, salt, butter, and mashed potatoes to bread-machine pan. Heat milk 1 minute and 30 seconds in microwave on HIGH. Pour over other ingredients already in the bread machine to warm them and melt the butter. Add bread flour and then yeast. Select the dough cycle and start. When finished, remove dough from pan to floured surface. Divide into 8 portions and form into balls. Allow to rise until double. Flatten balls with palm of your hand, rather severely, or else your buns will be too thick in the middle. Make glaze by whisking egg and water together in a small bowl. Carefully brush tops and sides of buns. Sprinkle with poppy seeds and sesame seeds. Bake in preheated 375 degree oven for 15-20 minutes or until golden brown and internal temperature reaches 190 degrees. Vary the seeds on top according to what you like and/or have on hand. Or, leave them off if you prefer. I like to make some with, and some without to please all the eaters around my table. P.S. If you need a quick lesson in making perfect dough balls, see this video. I would flatten them to the size of a small hamburger bun you would buy at the store. After a time or two, you will know how much to flatten them. They will rise a lot so I would flatten to about 1/2 inch. Hey! It’s just the recipe I was looking for. Quick question, if I don’t want to use potatoes what would be a good substitute? I am avoiding potato due inflammation reasons. I know this post is older, but am crossing my fingers for a reply. I just made them. They were perfect. 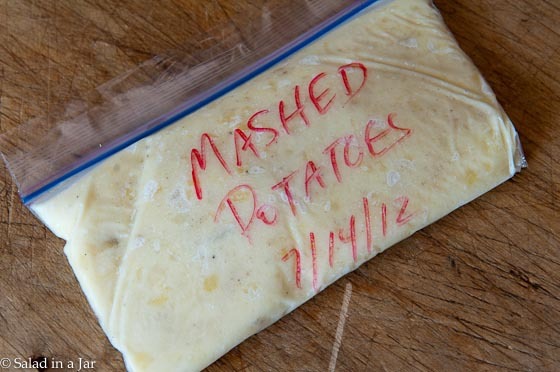 I don’t often make mashed potatoes (in fact, I’ve only made them once or twice, ever! ), but I do have easy local access to potato flour. Any idea how I might go about substituting the flour for the mashed potatoes? Thanks! hello, I just wanted to finally thank you for all of your wonderful recipes & great instructions for all of them. I’m making the rolls now & I know they will turn out fabulous! (as all your recipes do!) You’re an inspiration & always someone I can always count on with success. These are quite literally *the* roll I’ve been looking for for years! I made the mashed potatoes for the express purpose of using it for this (of course the family suffered horribly!) and it was so fantastic I made them 2 days in a row! My daughter commented how it was even better the day after! I formed the second batch into half hot dog rolls and the other half largish slider rolls. We are going to feast this weekend I used a 10 grain cereal I’d found at Target and it was perfect. Hard to stop eating! I think these might pass up the famed family recipe of Parkerhouse rolls at Thanksgiving! They’re that good! I thank you so much, Paula, for this post! Awesome Lisa! Love hearing this. I just made this and they are DELICIOUS!!! I just found your website but will be making lots of things, I’m sure. BTW, I made them half the size and baked them about 11 minutes. It was just my preference, because I like smaller burgers. This is the kind of comment that is worth more than gold to me. I’m so glad you liked them and that you took the time to come back to the blog and say so. I’m with you on the size, most of the time. That’s one great reason to make them yourself. Many times, I will make different sizes out of one batch to please everybody. 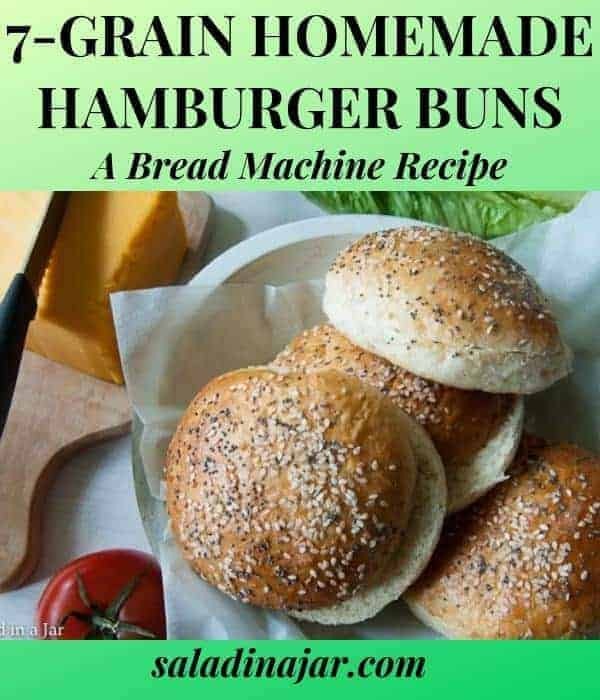 Paula, these look amazing, your right homemade buns take any sandwich or burger up a notch. Now you’ve got me craving a yummy grilled burger with all the fixin’s! You know how to enjoy a baseball game. I agree eating is the best part and when you prepare food this good, it has to rock! Great ideas here! I just pitched some mashed potatoes and could kick myself! I, too, use the bread machine to knead and then bake in the oven. It’s so easy that way, and I think it’s better and even easier than using my kitchenaid because it also proofs the dough. I’ll have to try this! I love the textures and flavors of whole grains. I couldn’t agree with you more that the bread machine is even easier than the bread machine for most bread. The only exception I can think of are batter-type doughs which are thin and usually refrigerated overnight to rise. The large beater of a mixer seems to work better in those situations. An example is this recipe. What is it about potatoes that keeps the bread fresh longer and delicious? I wonder if other starches could work… purple sweet potatoes come to mind! In response to your question, there is an article about the benefit of potatoes added to bread in the latest Cook’s Illustrated. Something about the starch attracting moisture if I remember right. Anyway, I have been doing it a long time. Purple sweet potatoes would probably work but sure would look funky. Let me know if you try it. You are not the only one to grab a cheap package of buns. Me too. I only make buns for special occasions or parties. And you are so right about the leftover 7 grain cereal. I have been keeping it in my garage refrigerator but the vacuum-packing idea is better if you have the pantry space. Nice idea about the title in the subject line. Unfortunately, I’m not smart enough to figure out how to do that. I’ll work on it. Enjoy the buns. 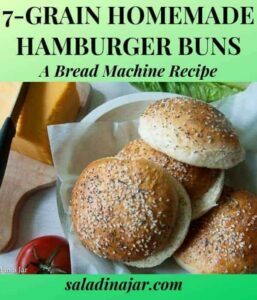 I think it is wonderful that you make your own healthy hamburger buns. I bake bread all the time and have never once made hamburger buns. If I ever get adventurous enough to attempt them I will try your recipe. That sounds really good! Might give it a try. Thanks. We’re Astros fans since my husband is a native Houstonian. It sure hurts sometimes! Your breakfast dessert sounds fabulous. Know I would love it.